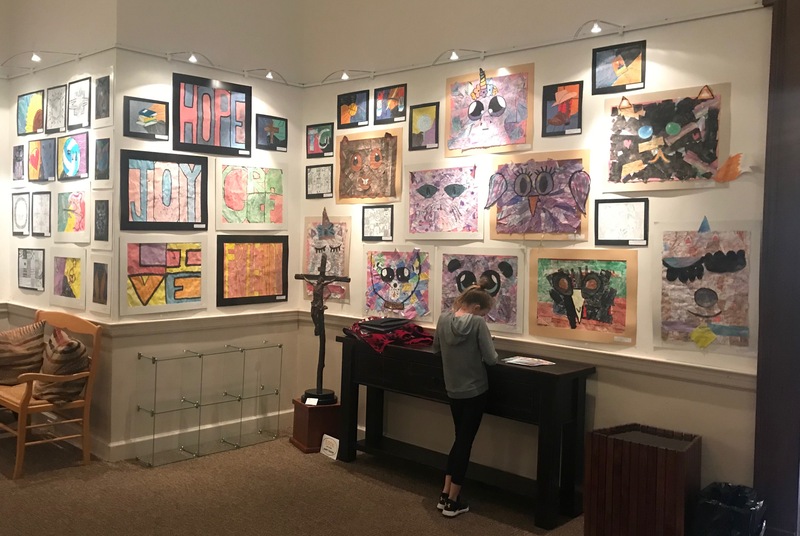 From February 28 – March 28, the following Fannin County Middle School students had art work on display at Blue Ridge Arts Association for Youth Art Month 2019. The theme was Your Art, Your Story! Vanessa Medrano, Lexie Frabotta, Gracie Patton, Courtney Davis, Robert Washington, Kylee Linderman, Sydney Chancey, Jordyn Villa, Colin Bruce, Anna Beth Minear, Benjamin Bloch, Emma Pittman, Karis Hughes, Katherine Tamberino, Shaylee Jones, Reese Lindstrom, Jasmine Anderson, Emmaline Cochran, Mylee Clement, Daegan Moore, Silas Campbell, Chelsey Frye, Ethan Forbis, Kaitlyn Nelson, Blair Deal, Annabelle Noland, Sadie Thomas, Avery Henson, Caroline Young, Bailee Stiles, Kylie Davenport, Abby Ridings, Natalie Bottongino, Cheyanne Hasker, Reid Norton, Emma Buchanan, Isabel Espinoza, Callie Lewis.